Wondering what’s in store for cryptocurrency in Q2 2018? Compared to the meteoric highs of December, the market has been a little slow recently. However, while it gradually recovers, there are still some promising releases and developments over the next few months. 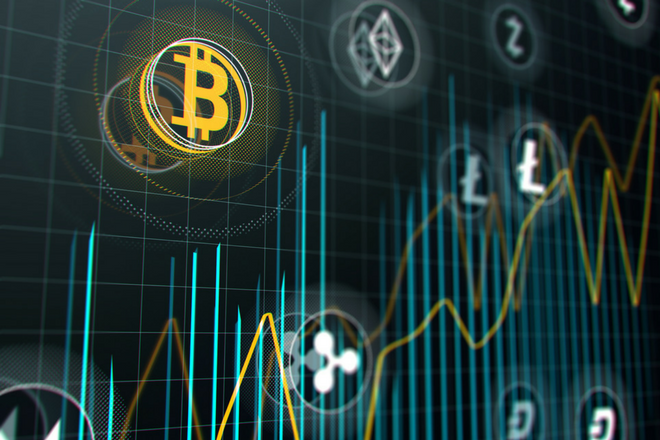 This guide spotlights 7 altcoins to watch in Q2 and the reasons why. 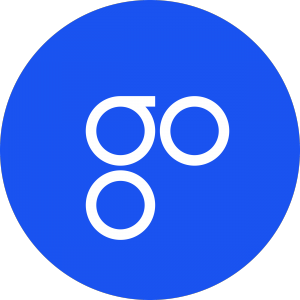 OmiseGo looks like a solid long-term option – boasting a strong team, a proven track record of success and a smart business strategy – and the next few months could be really promising too. In this interview with OMG, the team confirmed that Wallet SDK is on track for release in Q2. When it’s released, digital wallet providers will be able to transact fiat currencies alongside decentralized currencies, customize payment solutions and use custom designs. So whilst optimistic rumors of up to 1 million TPS (transfers-per-second) may be a little exaggerated, plasma speed could dramatically increase their widespread adoption. OmiseGo is planning to transition to proof of stake but the returns aren’t confirmed just yet. It’s one of their top priorities for Q1 and we should see this rolled out soon. VeChain is one of the most exciting cryptocurrencies on the market right now. They’ve already secured a host of impressive partnerships and they’re particularly noted for their transparency – they publicly publish their sales figures, financial records and other key performance indicators, which is a refreshing approach for the crypto market. VeChain rebranded to VeChain Thor on February 26, which will mean a widespread PR campaign from their marketing team and potentially more adoption. But what does the switch to VeChain Thor offer for its users? VeChain Thor is introducing nodes – allowing holders of VeChain to be rewarded for holding the coin per day, week and month. Across Q2 and beyond, this rebrand should stabilise the value of VeChain because it’s encouraging more long term investments, therefore reducing price volatility. 2018 could be a big year for Litecoin and it’s planning some impressive updates which could increase the adoption and practicality of Litecoin on a mainstream basis. LitePay was launched on February 26, and it’s being marketed as “the world’s first borderless payment network”, meaning the utility and adoption of Litecoin could rise significantly among businesses across the globe. LitePay allows Litecoin to be processed wherever Visa cards are accepted and could dramatically reduce processing fees on transactions. For example, while most major credit cards charge a 3% settlement fee, Litepay is promising to reduce that to just 1%. LitePal is expected to be rolled out later this year too, however there’s no confirmed release date just yet. It’s offering more security, seamless integration and rapid 60 second transactions – all of which could create a major spike in Litecoin’s value. Plus, LitePal will be compatible with most major ecommerce platforms, tapping into a highly profitable market. NEO has some exciting updates for 2018, so here’s a few things to watch out for in Q2. It’s speculative but there have been rumors of China ending its ICO ban as it releases new regulation updates. If that news is delivered in Q2, NEO’s price could quickly rise. Despite China’s clampdown on ICOs, NEO already has a few lined up and continues to operate. You can read more here about NEO ICOs in 2018. Whilst 50% of Origin token has already been released, the remainder of ONT tokens will also be airdropped in Q2. They’ve also gained new exchange listings on BitFlyer and Huobi.pro, so it’s been a great start to the year for their team. But most importantly, these are all signs of their intent and ambition for continuous growth across Q2. 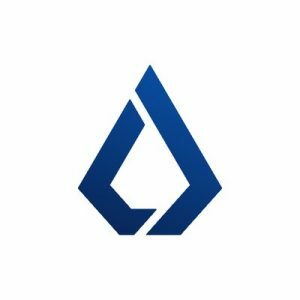 Moving forward, they have a busy roadmap planned over the next few months and if you’ve already read our series, then you know Lisk is one to watch out for. They’ve also recently grown their team, released new wallet updates and they have 4 ICOs lined up. Stellar has emerged as one of the market’s most dominant cryptocurrencies, with a strong team, solid fundamentals and some high profile partnerships. But there’s still much more to come! Here’s a couple of their upcoming projects. One of Stellar’s main priorities over the next few months will be it’s integration of the Lightning Network. This will allow high volume transactions and increased security – boosting XLM’s scalability. With testing already underway, we could expect more updates on the Lightning Network to come soon. Recently, Stellar caught the attention of one of the world’s biggest online payment gateways, Stripe. With the news of Stripe dropping Bitcoin support, they’ve stated that they may launch support for XLM instead. At the time, this caused Stellar’s price to jump by 20% – and if more announcements are released, XLM could rise even more. Supporting the development of decentralized applications, Qtum has some serious projects to watch out for. They’ve even launched the first ever blockchain space node! Now Qtum could be making some big moves over the second quarter, so here’s a few to watch out for. They’ve already announced 2 big partnerships this year and we can expect to see more over the coming months. Qtum already has a strong platform, now it’s time to scale and grow their reach. Qtum has some exciting projects on their blockchain, including Space Chain, MediBloc and Energo. As Qtum continues to develop new projects, you can expect their ecosystem to grow wider in adoption. There are plenty of new ICO projects on the agenda but their release dates are still to be confirmed on their website. What’s On Your Radar For Q2 2018? That’s it for our 7 altcoins to watch in Q2 2018. It’s important to note that while the above picks look promising in Q2 2018, due to the complex nature of these projects, they can easily become sidetracked or delayed along the way. What’s on your radar for Q2? Feel free to leave a comment below. Julian Goldie runs King Passive, a blog that teaches cryptocurrency trading and investing for beginners. Julian Goldie runs King Passive, a blog that teaches beginners how to trade and invest in crypto. Arcblock too, with it’s revolutionary 3.0 blockchain, which hopes to address latency and backlog of contracts. I think Icon should be added to the list. Monaco will have not only a crypto-to-fiat VISA card but also a mobile app with auto-balance investing, and a credit line based on staked MCO coins. Each of these features requires uses to either buy or lockup MCO coins. With an appetite of millions of users, the MCO coin could become quite scarce. preCharge is really awesome project. You dont need keys anymore! Hanacoin will rocket in 2018. I would change the above 7 to REQ, VET, LTC, MAN, ARK, DGB, ICX/AION. IMHO, these 7 will be massive down the road. Mark my words. Cheers! J.